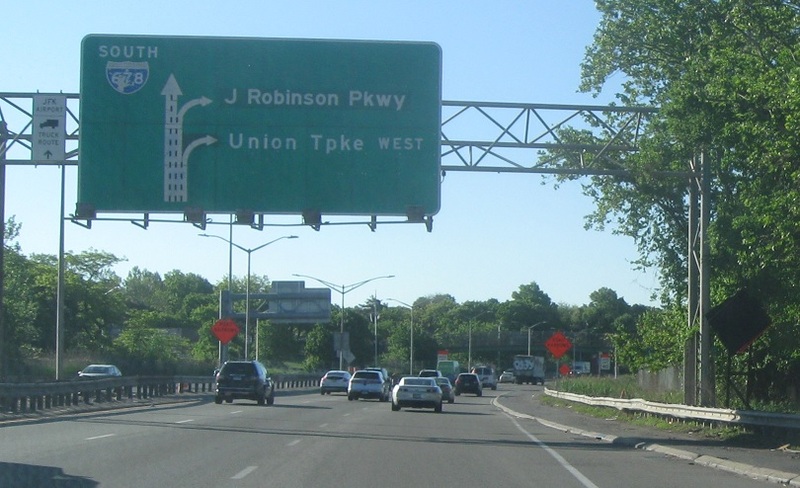 Reassurance shield after the Long Island Expressway interchange. Up ahead, we’ll approach the Jackie Robinson Parkway, which connects to the Grand Central. 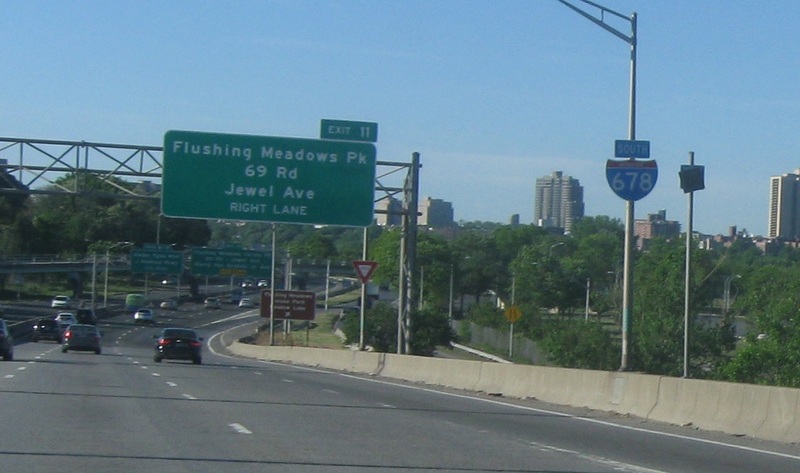 Exit ahead to connect to NY 25, since there’s not direct access from I-678 south. 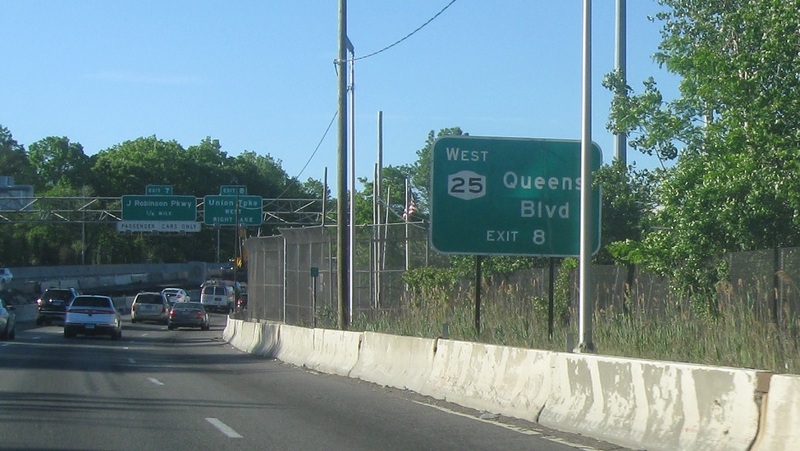 Exit to connect to NY 25. 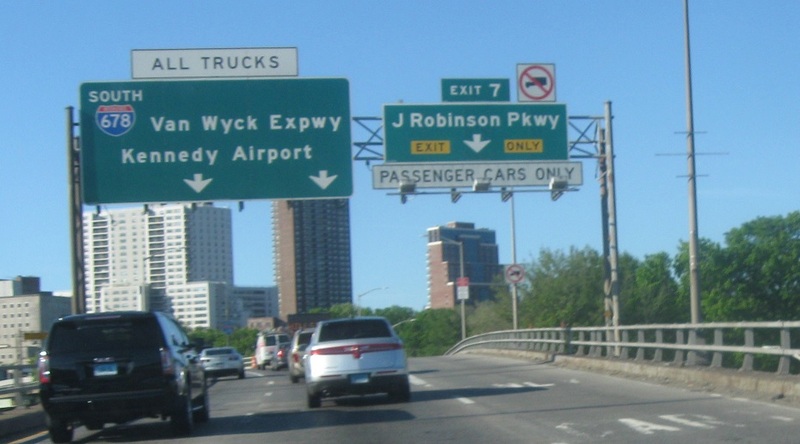 Exit for the westbound Jackie Robinson. There’s no access to the Grand Central from the Van Wyck, but there is from the Jackie Robinson.